There are a lot of ways to make money as a real estate investor. Whether you invest in houses, office buildings, apartments, or self-storage units, each property type has it’s strength’s and weaknesses. If you’ve ever considered investing in a self-storage property, you’ll know that the cashflow and profits can be quite impressive. 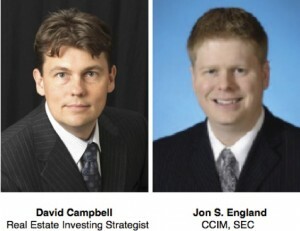 Jon S. England, CCIM, SEC specializes in self-storage investment sales, and strategic consulting. Jon communicates with self-storage property owners and investors on a daily basis, and has developed one of the most comprehensive databases of self-storage properties and owners in the midwest.